A 14-year-old boy was kidnapped and battered by two men who ordered him to steal £500 from his mother. Christopher Rennie and Anthony Wright snatched the teenager while he was on his way home from a shop near his home in Renfrew. They threw him into a flat where he was blindfolded, beaten and robbed. His ordeal only came to an end when he was able to lock himself inside his own home after being told to take money from his mother. 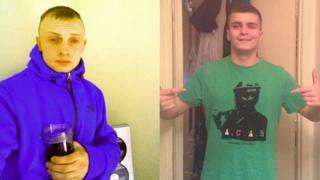 Rennie, 27, and Wright, 23, were convicted of abduction, assault and robbery at the High Court in Glasgow. Sentence was deferred. The court heard how Rennie had only been released from a prison term for car-jacking a week before he carried out the attack. The victim, said to be “very shy” and a “young-looking 14-year-old”, was described as an “obvious target” for the pair. The schoolboy did not give evidence during the trial. He was instead questioned by lawyers at an earlier hearing, with his evidence being played to the jury. The trial was told he was initially “tripped up” then held face down and his pockets rifled. The youngster was then thrown into a flat where Wright had been staying. Prosecutors described what then happened as a “fast-moving and frightening incident”. Speaking of his time being held captive in the flat, the boy said: “I did not scream and I did not try to get away. He was initially punched and told how he “curled up” to protect himself. Rennie grabbed him by the throat before he was struck across the legs with a weapon. The teenager was blindfolded and shoved into a bath. He was then hit in the face with a baseball bat, bursting his nose. The teenager was ordered to take off his Nike trainers, coat and scarf. He was put in a pair of women’s boots before Rennie and Wright followed him to his home. As they reached the victim’s home, he buzzed to get in as his attackers looked on. But the blood-soaked child then noticed his front door was ajar and sprinted inside to safety. Police were alerted and the boy was later able to take them to the block where he was held. Rennie and Wright were eventually found at another flat in the town. Judge Graeme Buchanan remanded the pair in custody as sentence was deferred until September for reports.